Good Day to You All!!! Though mentally I’ve been feeling mostly happy and at peace, my eating habits are not necessarily reflecting that of late. If this continues, I will stop doing What I Ate Wednesdays, but for now I was able to photograph a decent day of food at the cottage. Breakfast. I rolled out of bed at 10:30 and brewed some coffee immediately. One thing that’s been excellent is that I’ve been putting unsweetened almond milk in my coffee, with special. I had a big mug of it with a piece of sprouted whole grain toast topped with honey on the beach with my magazine. I relaxed here for an hour, because the day was rainy. Afterward, Krystal, Courtney and I filmed some videos for YouTube. Lunch. At 1ish, my opa rang our “meal bell.” I’ve been enjoying this tradition since I was first born, and remember when hearing it would bring excitement for a meal full of laughs and good food. This past month I have been in a rut in which food brings nothing but anxiety again. I will fight this and figure out what’s causing it. 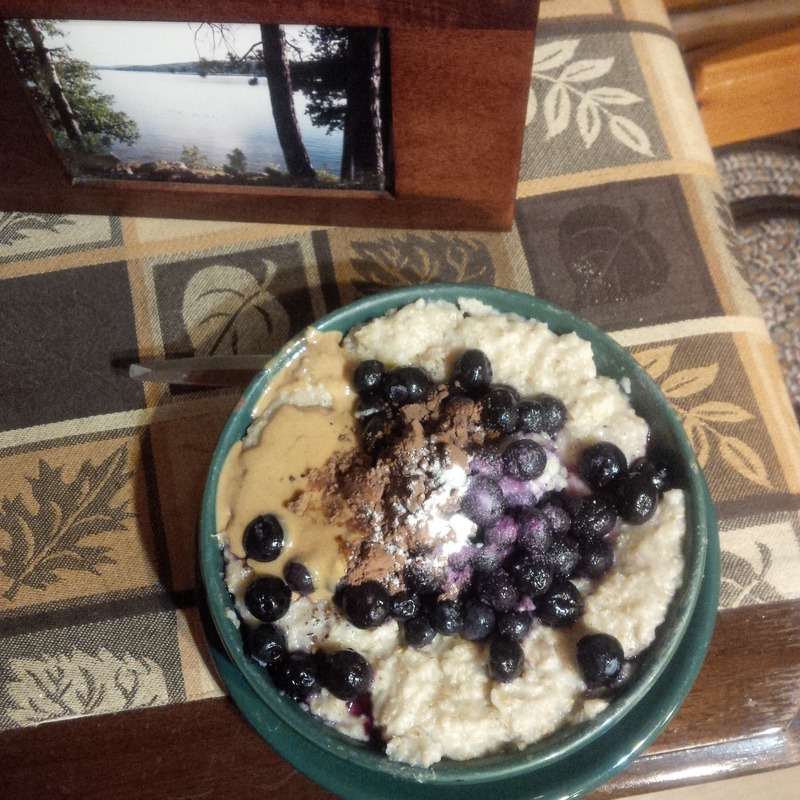 I made myself a bowl of cooked oats with cacao, peanut butter, and blueberries. After lunch, despite the rain, we all really wanted to take the motor boat out. We each went tubing, and I can’t explain how freeing this is. Gliding atop something so pure, it’s very empowering, and just fun. My dad drives the boat and smiles so big when he sees us smile. Afterward I went on my own hike, read lots of The Girl with the Dragon Tattoo, and wrote in my journal. Dinner. Dinner rolled around, and I anxiously took some cucumber slices and a chicken breast. I was angry with myself somewhere inside but really dealing with confliction. Snack. I decided to take the kayak out on the lake to think. This is my favourite thing to do at night. The lake is so vast and dark, and the trees surrounding it have little lights here and there, different people enjoying different conversation. The way the acoustics are, I can hear some exact conversations. No one worries about privacy. 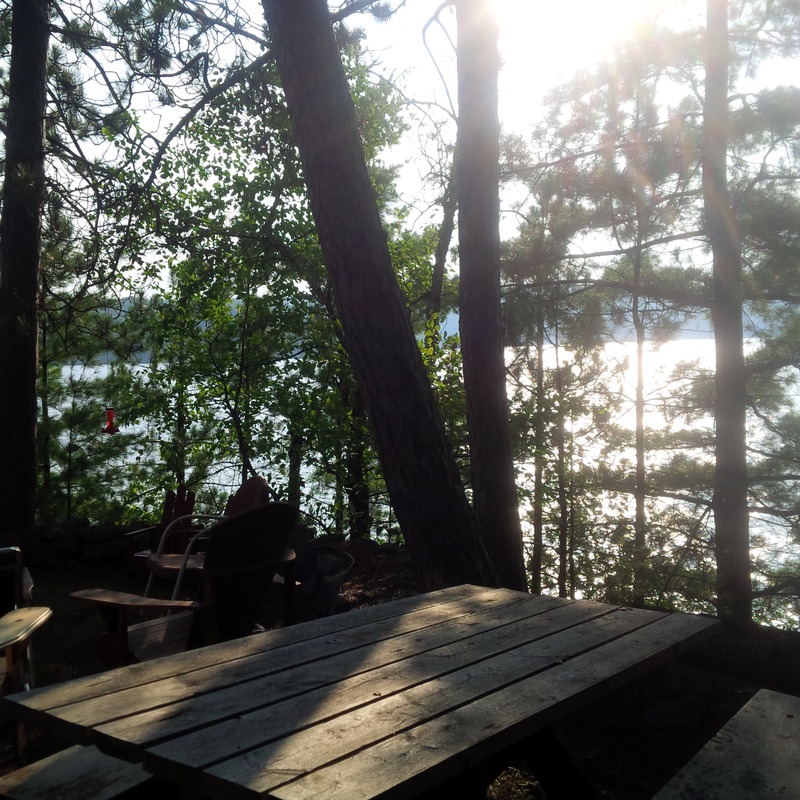 Papineau Lake is its own family. With newfound perspective and knowing that restriction will get me nowhere, I brought the kayak in and made myself another bowl of oatmeal, the same as for lunch, but with more oats. I asked Krystal to join me outside in my favourite spot and we talked and laughed and I prayed a silent prayer. I am stronger than this illness and so are you.